The toddler years are a time for great physical and mental development, and one of the changes you may be noticing is your little one is starting to pay more attention to the other children around them. Read on to find out how you can help your child to develop their fledgling social skills. As your child develops they will go through three distinct stages. To begin with, when young, they will tend to want to play on their own, but as they grow older (around 18 to 24 months usually) they begin a stage called parallel play, where they will deliberately sit together but are still engaged in their own individual games. In this stage, although they are yet to play with each other, there is still a social element involved. Eventually they will move on to what is known as associative and cooperative play, where there is genuine interaction. You’ll obviously want to do all you can to assist as your child slowly grows more social and their ability to play with others grows ever more sophisticated. Here are a few suggestions that may help you get underway. • Make sure they have some role models. This will be easiest for those with a bigger brother or sister that they can watch and copy, but otherwise look into baby and toddler groups or soft play areas where a good range of ages can be found. Watching older children really helps in figuring out how to interact with others. • Know your child and tailor your tactics towards their personality. 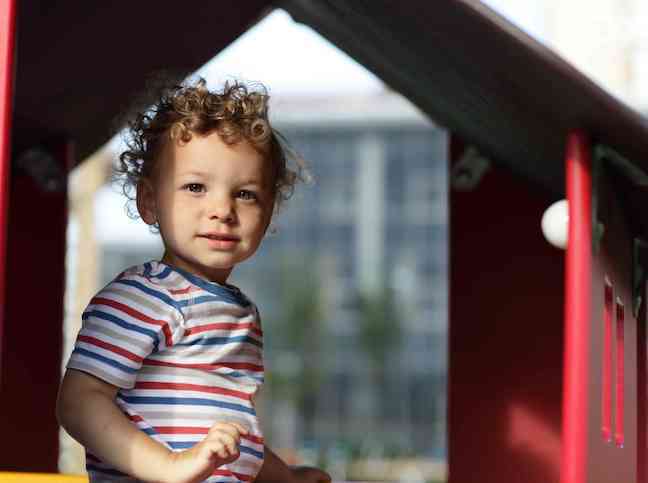 It may be tempting to try throwing them in at the deep end if they seem to balk at being in groups, but this approach can do more harm than good with some children, who may benefit more from small play dates with just one or two others instead. • Communication is obviously a key part of socializing, and, when it comes to a developing brain, there are going to be whole floods of new emotions as they continue growing. Teaching them the words or signs to show different emotions may well save a few frustrated temper tantrums and scared off playmates! • Since the majority of toddler-hood is spent in the parallel playing phase, why not invest in a few larger toys or toy sets that multiple children can play with at once? Or maybe double up on a few cheap toys for play dates, so that your toddler and their friend can busy themselves trying to copy each other. • Last but not least, practice makes perfect! Even if it’s just you and your child you still have the opportunity to keep trying with concepts such as sharing or understanding when someone else is showing emotion. Enlist the help of some of their favourite plushies and make a game of it! Learning to socialize and make friends with other toddlers is a slow process. By and large, children are only starting to form what we would class as real friendships by the time they start school, but planting the seeds of friendship in the early days can really boost their confidence and help them to be naturally social and friendly to their peers. How to Help Your Toddler Tackle Separation AnxietyPositive Parenting Techniques for Your Toddler: Do They Really Work?